The open louver fibreglass shutters reflect the look and functionality of traditional shutter design. Made with superior-quality materials, these shutters provide a lifetime of classic exterior charm without any maintenance required. 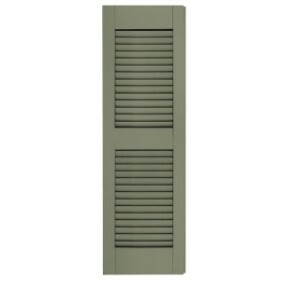 The fully-functional shutters are comprised of our Raised Panel, Louvered Colonial, Combination and Bahama shutter styles. Hand-crafted Quality the Architectural Collection uses modern materials with a centuries-old technique of mortises and tenon joinery to provide the strongest structural joint. 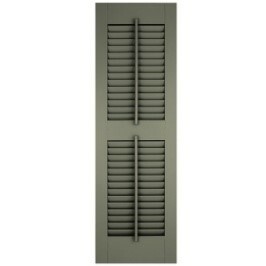 These shutters are hand-cut and hand assembled to meet your exact specifications. Architectural Collection shutter frames feature unsurpassed durability due to the strength of the marine-grade fibreglass used in our proprietary stile and louver designs. Exterior grade composite wood is used to manufacture solid, sturdy shutter panels. 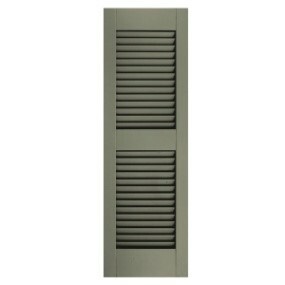 While the shutter rails are crafted from single-sheet, structural-grade PVC delivering strength and stability, and allowing for custom rail sizing in louver style only. The specialized tooling of each selected materials enables the creation of fine, historically-correct detail. Durable Down to the Last Detail the advanced finishing process gives you enduring, vibrant colours that last a lifetime, we are able to match almost any colour.